I realize for many of you resistance band training remains a new and unique training approach that comes with several questions and concerns. Makes sense knowing 90% of what is written about strength training focuses on the use of free weights and machines. Being a fitness enthusiasts who was into lifting weights only, when I first started using flat bands in 1996, I had the same questions and concerns is suspect many of you have. However over the years it has become very apparent through training 1000’s of fitness adults, band training has significant benefits as well as limitations when compared to their free weight counterpart. While training with bands for almost 20 years I can assure you I have thought through every exercise, workout and training approach I have shared to make sure what I share with you was proven and honest at the time. It has never been about making up content just to sell a band. No question over the years I have changed my opinions on a few ways we now train with flat continuously looped layered bands but overall in looking back, many of the same principles, techniques and recommendations still hold true. Like with any training device there are pros and cons and flat continuously looped resistance bands are no different. I want to address these pros and cons that have become apparent over the past 20 years of training with flat bands in hopes of helping clear up some of the questions, concerns and confusion you may have about resistance band training and how it compares to free weight training. 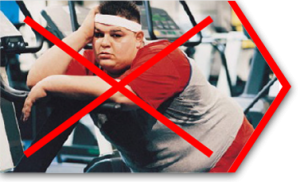 However before you dive into reading this blog please review these common understandings so we start off on the same page when it comes to what I mean by resistance band training. Resistance band training is about training with flat continuously looped layered bands. Not tubes, bungee cords, molded flat bands or braided elastic bands. Resistance bands are not dumbbells or barbells. They are not made of iron and can be damaged and will break if not used properly. All bands like many products are not created equal; there are low quality and high quality manufactured bands. Quantum Bands are my choice because they are 100% latex, layered not molded and are manufactured using a latex bonding process with the application of a latex welded to eliminate peeling of the top layer. I am passionate about resistance band training but am not advocating training with bands only. Instead my goal is to convince you that they need to be a consistent part of your training program on an every workout basis. Resistance band training is not designed to simply replicate free weight exercises but instead provide exercise options unmatched by free weights that are important to building a body that looks, feels and moves great. After reading this blog, YES I hope you will consider testing out Quantum Bands but I am perfectly fine if you don’t. My goal is simply to help improve your knowledge about why resistance band training (not Quantum Bands specifically) should be a significant part of your weekly training routine along with traditional free weight devices if you enjoy training with weights. Obviously resistance bands are very light weight which makes them extremely portable. However when combining this unmatched portability with an unlimited resistance capacity and the ability to apply this resistance in multiple force vectors while performing any movement, it makes the advantage of “Training Anywhere” even more powerful. Next to training with body weight only which is FREE, resistance band training is easily the most cost effect form of resistance training when you take into consideration the unlimited exercise options and the ability to impact all components of fitness and performance. To emphasize this point realize it would require 9 pairs of dumbbells ($200+ expense) to create the same resistance variability (10 to 50lbs) that one pair of red small bands ($22 value) can create. Resistance bands create what is referred to as an “ascending resistance” which is significantly different than a free weight’s constant resistance. First of all an ascending resistance, which continually increases as range of motion increases, will increase work output through the full range of motion. Secondly an ascending resistance causes a higher degree of end range stabilization which happens to be where stabilization is needed to help in preventing injury. Lastly an ascending resistance allows movements velocity to change and be accelerated which is exactly how the body increases power. As result bands neurologically teach the body how to accelerate force which is the key to enhancing power production, something we all use every day in life not just sport. Repeated joint compression and lack of joint stabilization is what ultimately breaks down joint surfaces. Resistance bands create significantly less joint compression because they are not totally gravity dependent like free weights. Therefore bands can train using horizontal and rotational forces which create far less joint compression. Essentially band training eliminates having to always train muscles using the same patterns of movement which in turn is far more joint friendly. Having one training tool that is portable enough to go anywhere and be able to train all aspects of fitness and performance including……. ….. And still achieve solid results, is a training tool that can make a huge impact on looking, feeling and moving great. A resistance band’s light weight construction and variable resistance allows it to be applied to the body in multiple ways that in turn allows for a wide variety of training objectives to be addressed effectively. Resistance band training is not a tool designed to only replicate free weight movements. Instead it is tool that can replicate any functional movement while applying an unloading, movement retraining assistance or a strength enhancing, muscle building resistance. As a result resistance band training will make movements and muscles stronger while simultaneously improving movement coordinated. Resistance bands portability and unique resistance capability along with the ability to apply resistance to any movement our body can perform, provides the user an endless variety of exercise options. Along with this variety, bands also provide a high level of versatility which opening up the opportunity for a tremendous amount of individual creativity. bands are defined by their ability to provide great workouts that can accommodate Anybody, Anywhere, Anytime, while training Any Movement at Any Intensity. 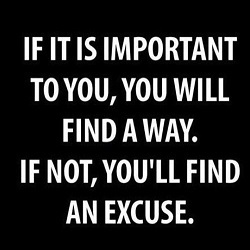 So exactly why did you miss your workout? Resistance band training is a system designed to train the body as a complete kinetic chain versus individual segments. As a result 90% of all exercises require simultaneous activity of the lower and upper body which means the core is involve on every rep. Being elastic means there is a driving force encouraging greater range of motion on every concentric reach, lunge, squat or step which means muscles are being asked to stabilize and lengthen throughout an entire workout. Being able to add resistance to complex functional movements like running, crawling, jumping or walking provides individuals the opportunity to train cardio and strength simultaneously while enhancing all the components that come with performing complex movements like coordination, balance, agility and rhythm. Progressing or regressing with bands is as simple as changing up the level of tension in the band. This can occur by step back or forward on attached or partner attached training and changing up band size on attachment free training. Along with that you can always change speed of movement or incorporate a corresponding secondary movement that compliments the primary movement. Example of this is adding a step with a horizontal pull or push. Gravity is a key drive of function along with momentum and ground reaction forces. Band resistance can influence gravity but free weight resistance is definitely a more effective developer of gravity based vertical plane strength and since gravity is not going away, staying strong against gravity is key to maintain good life long function. Fact – Over 99% of the bands we replace are due to user error. These are important facts to reinforce the point that yes bands can break but training error and poor quality manufacturing is the primary reason they do. Plus comparing tubes to flat bands is like comparing apples to oranges while making sure flat bands are layered not molded is important. For those whose bands last for years, it comes down to having learned how to use them correctly which is the key to successfully implementing any new training tool. Flat band resistance is a variable resistance that is dictated by length of stretch, width of band and thickness of band. As a result it is difficult to determine exact poundage of resistance which for those that need numbers can be a resistance band frustration. Along with not being able to quantify band resistance, it also becomes challenging to reflect back on previous training levels to determine progress. Very often progress with resistance band training is measure on how individual are performing with day to day activities, recreational activities or how they strength changes when attempting to lift a dead weight. However progress can also be measured by the ability to return back to strength training after having to discontinue due to joint injury or pain. Free weight training for muscle hypertrophy has been well documented and proven to work. Band resistance has also shown muscle hypertrophy gains but not to the degree that free weights have. As a result even though resistance bands can create muscle hypertrophy, free weight training remains the best catalyst toward achieving that goal. Now that we have a better understanding about the pros and cons of resistance band training I want to discuss a few problems that exist on how resistance band training is being portrayed in the fitness and performance training community. Resistance band training has for year been looked upon as a way to “tone muscles” or rehabilitate injuries. This may be the case when using tubular devices and thera-band but it is definitely not the case when it comes to training with flat continuously looped layered bands. Unfortunately if you google resistance bands you will find more about tubular bands than flat bands with no differentiation in training discussed between the two types of bands. Therefore flat resistance bands are grouped with tubular bands which is like saying barbells and kettlebells are the same thing. It is because of this lack of differentiation with tubular bands that flat bands are looked upon as primarily a low resistance muscle toning device. Muscles are reactors and adaptors to stimuli that challenge them. That challenge can come in the form of free weight resistance, band resistance or learning a complex movement like throwing or running. The difference lies in what adaptations or responses occur when the stimulus is repeated attempted. Knowing bands create significantly different (not better) responses than free weights, it would make sense to train with both versus relying solely on one form of resistance. Unfortunately, free weights remain the standard for strength training when it comes to what is being discussed and demonstrated yet it is obvious that free weights cannot match the responses and adaptations resistance bands can create. For years bands have been considered the last alternative to strength training yet in the world of power-lifting flat bands (not tubes) have become a key training tool used alone or in conjunction with complex free weight training routines. To me that indicates that flat bands provide a training effect that free weights can’t. It has and will continue to be my opinion that resistance bands need to be part (not exclusively) of every training program because of their unique impact on muscle strength, power and function. How do I get started correctly with Resistance Band Training? It doesn’t have to be all or nothing. 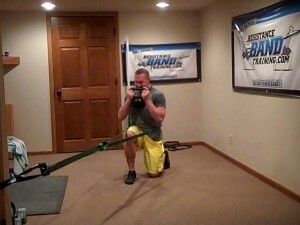 Start implementing bands into your existing training program by substituting in band exercises. From there continue to add in exercises until you feel you have mastered a series of exercises you could now put together in a complete resistance band only workout. Resistance band training will train your body to look, feel and move better by providing the body a training stimulus that fits how it works. It is obvious that these training effects cannot be replicated by training with free weights alone. However by eliminating exclusivity and instead combining up elastic “ascending” flat band resistance with free weight constant resistance, you provide the body exactly what it needs to achieve a higher level of performance, fitness and function. I have not noticed any cons yet in my bands, I am using booty bands. One question I’ve never seen brought up about resistance band workouts. Should a day be taken off between band workouts like that recommended with free weights?